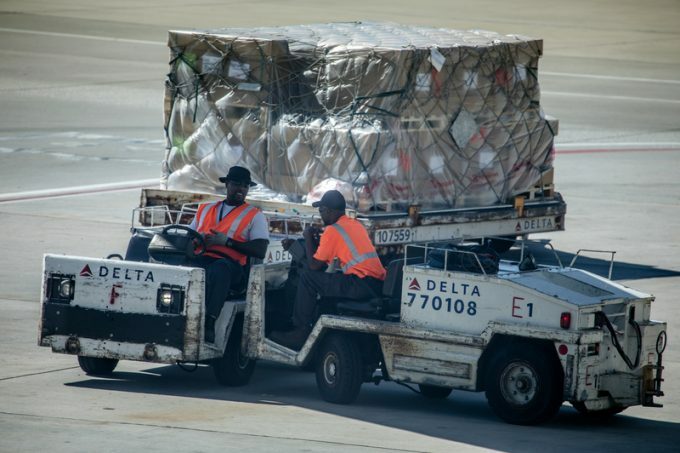 Cargo through Atlanta could experience some delays following the cancellation of more than 1,000 flights due to a power outage at Atlanta Hartsfield-Jackson International. Delta Cargo has embargoed all international services until midnight tonight, while domestic cargo is stopped until midnight tomorrow. The carrier reported 540 flights had been cancelled, with a further 47 diverted. In a statement, the carrier said: “Due to a power outage at the Atlanta airport, some shipments with origin/destination/transfer Atlanta will be impacted and significant delays are expected. However, most airlines appeared to be operating normally. A spokesperson for AirBridge Cargo told The Loadstar the carrier had experienced only a “minor delay” of 55 minutes. This arose because of a flight having to wait for a fuel tanker slightly longer than planned, but the spokesperson noted “otherwise everything is normal”. Similarly, a spokesperson for DSV said the forwarder had not experienced any delays or difficulties as a result of the power outage. The problem hit the airport yesterday afternoon at approximately 1pm, with local media reporting it took some 11 hours for the power to be restored. Atlanta Mayor Kasim Reed was reported by CNN as having attributed the outage to a fire in a Georgia Power underground electrical facility. Mr Reed said the intensity of the fire had “damaged two substations” which serve the airport, including the airport’s “redundant system”, which is there to provide back-up in the case of any faults. The US Federal Aviation Administration (FAA) issued a ground stop for all flights, which remained in effect until the early hours today.